On Sunday, April 22, 2018, Richard Gerster will run the Zurich Marathon as Helvetas Charity Runner. He has registered in order to link his professional passion of working for development and equity with his personal passion of jogging. It is his objective to run the full track of 42 km and to raise funds to improve sustainable access to clean drinking water and better education and training. 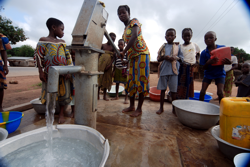 Helvetas is supporting communities in various African countries to build water fountains in villages, schools and health centres. On an average, a fountain serving 300 children costs around 9000 CHF. Therefore, the entry ticket to a better life for a child amounts to 30 CHF. As a result of his professional mandates, Richard is familiar with the desperate needs for clean water and better education and training in rural African areas. It is Richard’s hope to raise CHF 100 for each km run. If you would like to endorse or support Richard’s commitment, consult https://life-changer.helvetas.ch/richardgerster/zurichmarathon (in German only). Since 2015, Caritas Switzerland publishes an annual review (“Almanach”) of development policy issues. The first volume is dedicated to “Perspectives of Development Cooperation”. Caritas invited Richard Gerster to contribute an introductory overview on the past decades of Swiss development cooperation (ODA & NGO) and the lessons learned for the future. He concludes that the primary poverty focus of development cooperation is more and more being replaced by broader objectives of international cooperation. On the launching event Richard Gerster presented an opening statement, highlighting the economic and political rise of the developing world during the past decades, the growing role of civil society in the South and the North; the challenges of development cooperation in terms of quantity, quality and coherence; the rise of competing paradigms like migration, global warming and humanitarian aid. Richard Gerster’s article (in German and French) as well as his presentation (in German only) are available below. North – South: What have we learned? In March 2014, the Swiss Network for socially responsible business (“Netzwerk für sozial verantwortliche Wirtschaft”, www.nsw-rse.ch) invited to an exchange of views on the topic “North – South: What have we learned?” Walter Fust, former Director of Swiss Development Cooperation (SDC), and Richard Gerster of Gerster Consulting presented opening statements from their perspectives. They highlighted the economic and political rise of the developing world during the past decades, essentially based on its own merits; the complementarity of development cooperation and its limitations; the challenges for a constructive and more coherent role of Switzerland. Richard Gerster’s presentation is available below (in German only). You may be aware of our photo gallery presenting vertical panorama photos of an extraordinary 1:3 size. We have added 50 new and attractive photos. The narrow vertical perspective directs the focus of the viewer on one clear-cut message. (4) snapshots of scenes in Switzerland. If you are interested in reproducing some of the photos, we will mail a higher image resolution. An acknowledgement of copyright is required for a free of charge and not-for-profit use whereas conditions for commercial purposes are to be negotiated. Have a look at the pictures and you will note that the size makes a difference! A hotly debated risk of foreign aid is to maintain the dependency of developing countries and undermine their sovereignty. However, the reality is changing fast. Broad economic growth and rising government revenues redefine the scene, and aid dependency of many African countries has been reduced dramatically over the last 10 – 15 years. Mozambique is a telling example. The analysis below demonstrates that good aid itself becomes the source of change. The efforts of the Mozambican Government are supported by foreign aid, notably technical assistance and budget support. The article was written on request by the Indian Magazine “Diplomatist” for its special report on Mozambique. Another unusual element of aid relations with Mozambique attracted attention: The Performance Assessment Framework (PAF) for development partners, elaborated in the context of budget support, to enhance mutual accountability. The article “Holding Donors Accountable” can be found below as well. (1) English: The e-book „Africa’s Orphaned Generations: It takes more than a village to raise a child” can be downloaded here. Being a free e-book of 120pp., a donation to REPSSl is recommended, for particulars see page 2 of the e-book. In 2008 the Swiss Agency for Development and Cooperation (SDC) launched four Global Programmes on climate change, food security, migration, and water. The Global Programmes devise innovative yet practical solutions in addressing these challenges. They contribute nationally and internationally to an informed political dialogue. A new SDC report on the Global Programme on Climate Change authored by Richard Gerster, Sonja Beeli and Konrad Matter shows that action on the ground yields a double dividend: alleviating poverty on the one hand, and addressing the causes and effects of climate change on the other. In the interests of maximum impact, the efforts focuse on only four countries: China, India, Peru and South Africa. 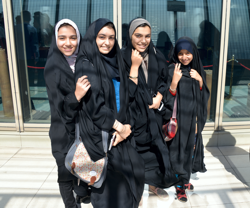 The report structure follows that of the Global Programme itself, with sections on political dialogue, operational experience and knowledge-sharing. Key information on each topic is presented over two pages, together with an information graphic. It offers an insight how international cooperation can contribute to make globalisation more development oriented. Particulate matter (PM10) is a key element of air quality, relevant for climate change and human health. In Dehli (India) the PM10 content is rated as poor. No raw materials, a low level of agricultural production, complex traffic routes, political fragmentation - how come Switzerland was at the cutting edge of industrialisation as early as the 18th and 19th century and a tough competitor for a great power like England? Why is it today among the richest countries world-wide? What relevance does Switzerland's historical development have today? To what extent is it relevant for the future of Africa, Asia and Latin America? These are the guiding questions of this publication as it presents cornerstones of Swiss economic history in an easily readable and illustrated manner. By no means is this publication a request for other countries to copy Switzerland's path to prosperity. There are no one-size-fits-all approaches, least of all in today's completely changed economic world order. At the same time learning from experience is not forbidden. In this publication it is not the Swiss but personalities from Africa, Asia and Central America who draw conclusions from the described historical developments. It can be downloaded in German and English. The new book “Partners in Development: India and Switzerland” by Richard Gerster is not an evaluation but an independent review of experience of cooperation programmes supported by Switzerland (Government & NGOs) during the past 50 years. 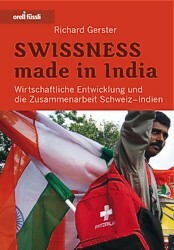 It aims at answering questions such as „What characterises Swiss development cooperation in India?“, „What has been achieved?“ and „What are the lessons learned?“ The book is based on some 250 interviews with Indian partners, former and current Swiss employees, independent observers in both countries as well as on numerous documents and publications. In spite of its small size Switzerland managed to become known as an influential niche player in India. Swiss contributions in areas such as animal husbandry or dairy farming, disaster prevention, rural housing, drinking water, microfinance or infrastructure financing have had an impact not only at the local level, but also at the state level – they even influenced national policies for 1,1 billion people. Experiences from development cooperation in India had reciprocal influences on Swiss programmes in other countries. Overall, both the Government and NGOs have reached much more than could realistically be expected. These successes are those of the Indian partners. Forewords by Micheline Calmy-Rey, Swiss Minister for Foreign Affairs, and M.S. Swaminathan, M.P. and President M.S.Swaminathan Research Foundation. This timely publication is highly relevant for the forthcoming decisions by the Swiss Parliament to shape the future contribution of Switzerland to development cooperation. How does the quality of life compare in India’s Kerala, California in the US and the Swiss Kanton of Zurich? How is globalisation driving Switzerland's prosperity? How does the trend towards a multicultural society affect Swiss classrooms? The world influences Switzerland, and vice versa. A brochure just published by the Swiss Agency for Development and Cooperation (SDC) highlights Switzerland's strengths and weaknesses in the context of North-South relations. 20 attractive graphs illustrate facts and comparisons in the fields of politics, economics, society and cooperation. The SDC commissioned Richard Gerster to prepare the brochure, which is available in German, French and Italian. The publication can be downloaded on the right. 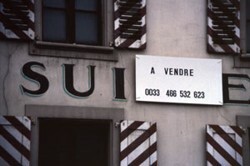 Globalisation: „la Suisse à vendre“ – Switzerland for sale?